Best Gifts for 12 Year Old Girls! What are the Best Gifts for 12 Year Old Girls? I hear you need to find a gift for a 12 year old girl in the family? Perhaps she is your daughter, niece or even granddaughter? What do you give a 12 year old girl? Gifts for 12 year old girls can sometimes be very difficult to figure out….they are among the most difficult age groups to buy gifts for! Here you are going to find a nice selection of gifts for 12 year old girls! I also have a teen girl and I know how difficult it is to pick gifts for them! Enjoy your 12 year old girl! Soon she will be a grown-up…. 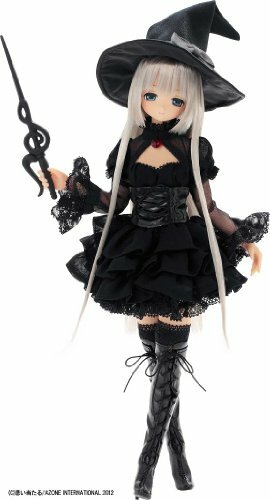 *(All the gift recommendations for 12 year old girls from this page reflect my own personal opinion and some research I have done online. I understand they will not please all girls, but I tried to vary them as much as possible. One of the best gift ideas for 12 year old girls is, of course, a new smartphone! Many parents are against giving their young daughters a new smartphone but I think it is necessary nowadays if they commit to always being in touch with you! I made an agreement with my daughter when I gave her a new cell phone and that was that she would need to be available to answer my calls anytime! Almost every 12 year old girl wants to get a new smartphone! 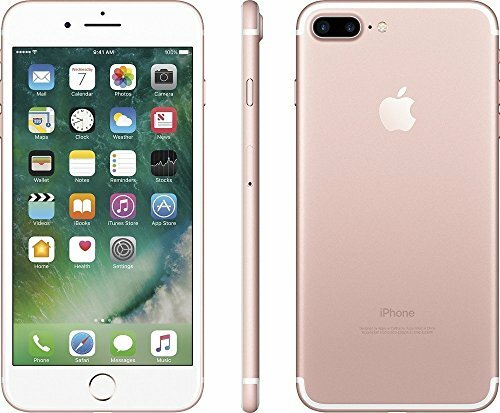 This cute iPhone 7 plus rose gold phone is great for girls! My daughter just got one for her and she loves it! The camera is great and the phone is ultra-light and thin to carry! *And if she already has an iPhone, how about a fun case? If your tween girl already has an iPhone, how about giving her a cute, fun and girly iPhone case? 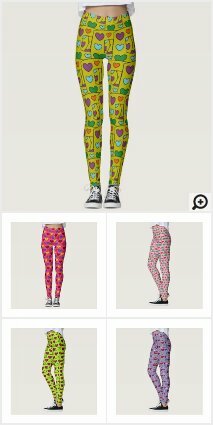 How about some cute, fun and girly leggings? Tween girls usually LOVE wearing leggings! My daughter has several! Choose a fun pair for her that expresses her personality! 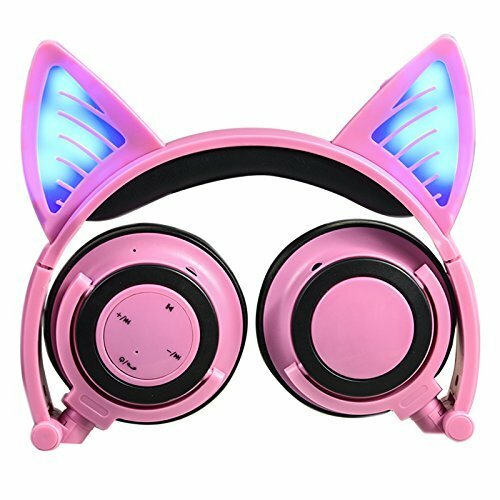 Cool Pink Cat Headphones for Girls! Tween girls also LOVE cool headphones, of course! My daughter always has hers with her at all times! They are almost part of her body! These are pretty cool and of great quality! 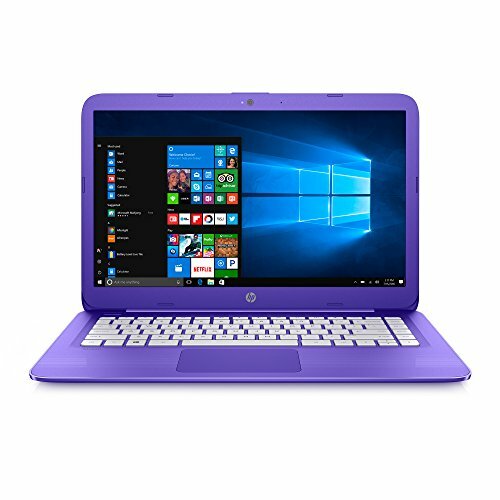 One of the Best Electronic Gifts for 12 Year Old Girls: Cute Purple Laptop Computer! A cute and compact laptop computer makes an awesome gift idea for a 12 year old girl! As long as she understands that having a computer is a privilege and she will be monitored by her parents…. This cute laptop is very portable and very easy to use! Let’s face it: We live in the era of computers, internet and all kinds of electronic gadgets! Of course your kids LOVE computers! This cute purple laptop will make an awesome gift for your 12 year old girl! It’s cute, it’s fun, it’s very compact, it’s perfect for watching cool movies, talking to their friends, watching videos on YouTube, saving their favorite pictures and browsing the net! And the best feature of all: it’s affordable! Very nice gift idea for tween girls interested in music! How about giving the gift of music to the 12 year old girl in your family? I truly believe that just by giving your 12 year old girl a cool keyboard or digital piano, you will spark her musical interest! I gave a new piano keyboard to my daughter when she turned 11 years old and today she can play all the cool songs teens like! Teen girls love having a cool piano keyboard in their bedrooms! It makes them look ‘cool’! Even better if you can also book weekly piano lessons as well…. Hey, spending time on the piano or keyboard is way better than spending time on the computer, don’t you think? 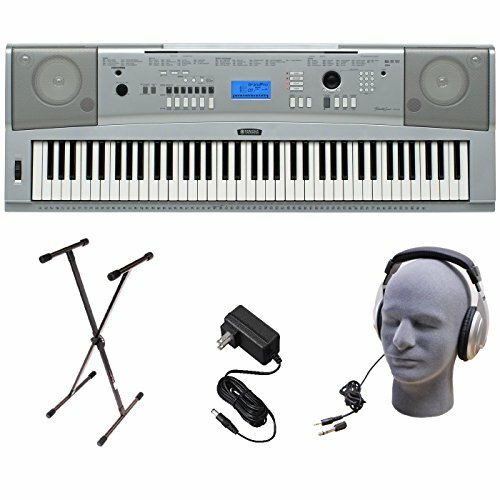 *This Yamaha keyboard bundle is perfect for teenagers! It comes ready to plug and start playing! It is the one my own daughter has in her bedroom. BEAUTY Gifts for 12 Year Old Girls! Girls LOVE to get pretty and do their hair every day! The flat iron is an essential beauty gadget in any girl’s life! This Herstyler flat iron is awesome!! I gave one to my daughter a few years ago and she loves it! 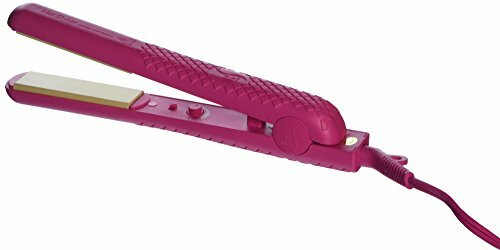 It is an excellent flat iron that leaves the hair super smooth and shiny! My daughter uses it every single day! It is a great gift idea! Nice Gift for Pre-Teen Girls! Another awesome flat iron gift set for pre-teen and teen girls! They love to look their best at all times! Now they can always have beautiful hair at home and out! 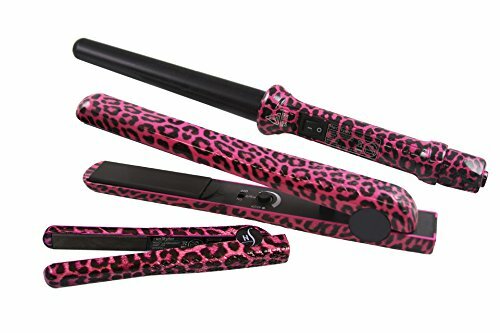 This is an awesome pink leopard flat iron and curler set for girls! They love to get together with their friends and have a ‘makeup session’ and then take tones of pictures of each other! This is a great makeup kit for girls! Girls LOVE wearing makeup and playing dress up to take gorgeous pictures! A cool makeup kit is an excellent gift idea for a 12 year old girl! 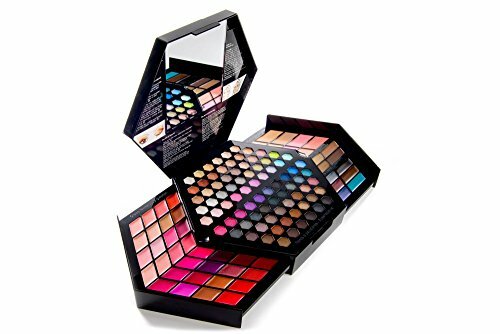 This is a complete and very cool complete makeup kit from Sephora that includes 130 shades! It’s perfect for throwing a fun ‘makeup’ party and sleepover! Nice Perfume for 12 Year Old Girls! Girls also LOVE wearing nice perfume, of course! They love going to school or going out with their friends smelling good! This is a very nice, sweet fragrance for young pre-teen girls! Fun Gift Ideas for Lizard Lovers! Does your 12 year old girl love lizards? Perhaps she even has a bearded dragon? Then any of these will make an awesome birthday gift idea for her! 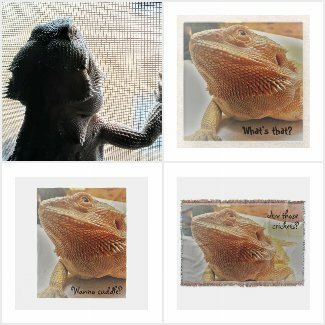 Several fun products with a cute ‘beardie’ picture on them! Fun and Unique Gift Idea for a 12 Year Old Girl: a Cool High Heel Shoe Chair for her Bedroom! 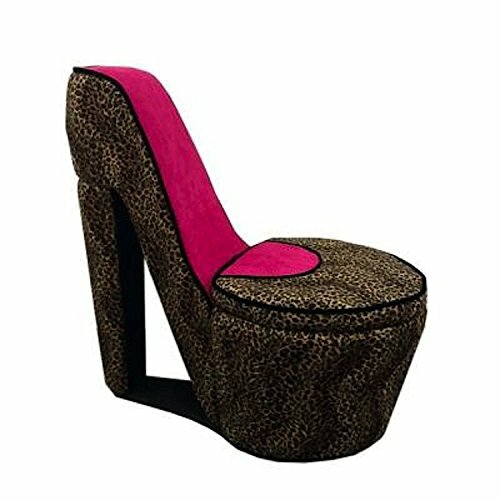 If you are looking to go above and beyond in your gift choosing and really want to give her something very unique, how about her very own ‘cheetah print’ high heel shoe shaped chair for her bedroom? Isn’t it the coolest thing you’ve ever seen? I think it will make a fabulous gift idea! How about getting her a fun new comforter set? I know for a fact that girls love to have cute bedrooms! 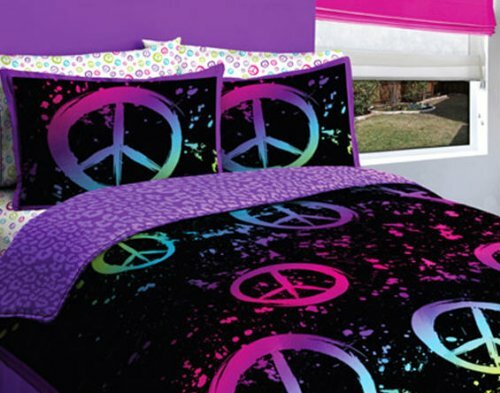 How about giving a gorgeous peace sign comforter set for the 12 year old girl in your family? This is a beautiful “Peace” black and purple comforter set for girls! The peace sign designs really stand out! Great birthday gift idea for teen girls! How about a fun Backpack? 12 year old girls usually have a lot of sleepovers, right? Of course they need backpacks for that! How about choosing a fun backpack for the 12 year old girl in your family? This is a pretty cool ‘clueless’ look design red backpack! Tween girls also LOVE wearing boots! My daughter went crazy every time she saw a pair of cool boots! I like these, but they can be found in all colors and designs! 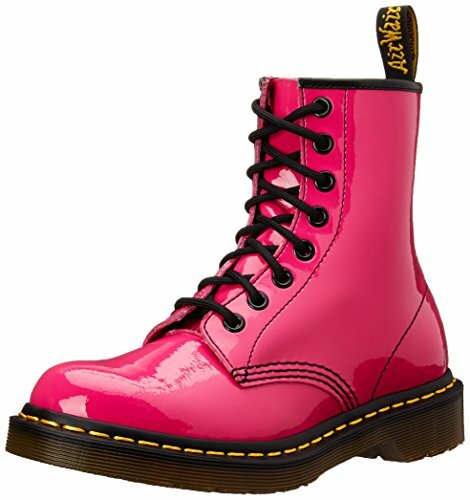 If your pre-teen girl also likes to wear cool boots, then I think these will make a pretty nice gift! We need to pay attention on what fashion trends they are following and what stuff they are talking about…. Combat boots apparently are big among pre-teen girls…. They are very sturdy and comfortable too…. You can find them in ALL colors besides this gorgeous hot pink color! Does your 12 year old girl like to wear jewelry? 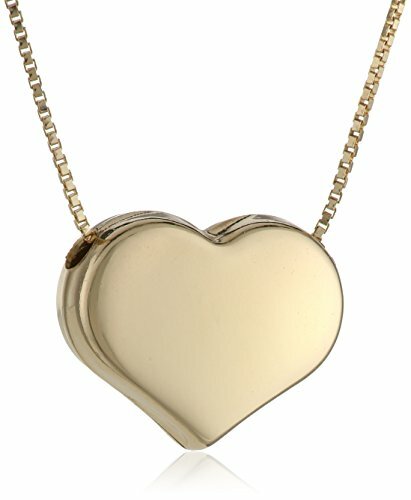 Then how about giving her this gorgeous gold heart necklace? It will definitely stand out! Beautiful Heart Shape Birthstone Ring! How about giving your 12 year old girl a gorgeous heart-shaped birthstone ring? 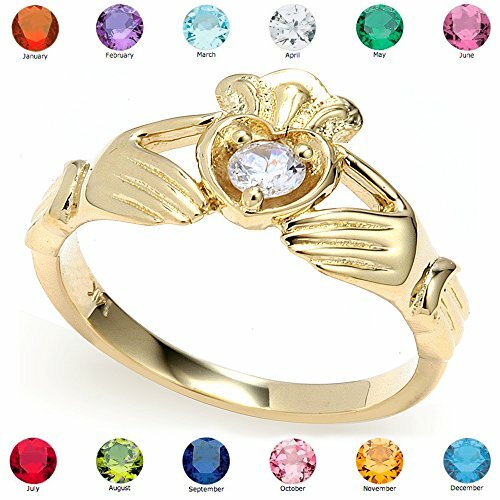 If she likes to wear jewelry and pretty rings, I’m sure she’s gonna love this cute heart ring!